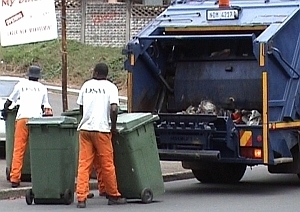 When these mixed sizes of bins are used together with a high proportion of hand-loaded bags and loose refuse, then a low-level lifter with a wide comb is needed. The ML450 has a rugged construction requiring a minimum of maintenance. Despite placing a low demand on the vehicle’s hydraulics, it can lift up to 400kg in a cycle time of 8 sec. COMPACT – Despite being a low-level lifter, the ML450 has a far greater ground clearance than competitors' lifters in this class. 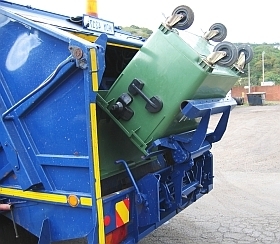 The installed lifter typically does not reduce the ground clearance of the vehicle, giving an enormous advantage when reversing the vehicle at a dump site. HEIGHT ADJUSTABLE - The ML450 is the only lifter where the operators pre-select the height either for the lower 2-wheel bins, or the taller 4-wheel bins. 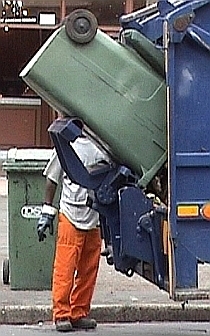 In the low position, it is very easy to hand-load bags and loose refuse over the lifter. EFFICIENT - A single rotary actuator drives the wide lifter, this provides a smooth bin emptying cycle. Stubborn refuse is normally ejected on the first attempt due to the tipping angle of 45 º. LOCAL PRODUCT - The ML450 is locally designed, manufactured and maintained for South Africa’s tough conditions.